While I was visiting Juliana and Alex, I ate like a queen. One of the best meals they served me was on Monday night. Alex prepared salmon for the grill, seasoning it with salt, pepper, garlic powder, and a drizzle of honey mustard. Juliana's contribution to this dinner was asparagus and a most delicious potato salad. Here's what she did: Boil red potatoes that are cut into bite-sized pieces until they are fork tender. Chop fresh parsley, Kalamata olives, red onion, and a drained can of artichoke hearts, and dump into a large mixing bowl. 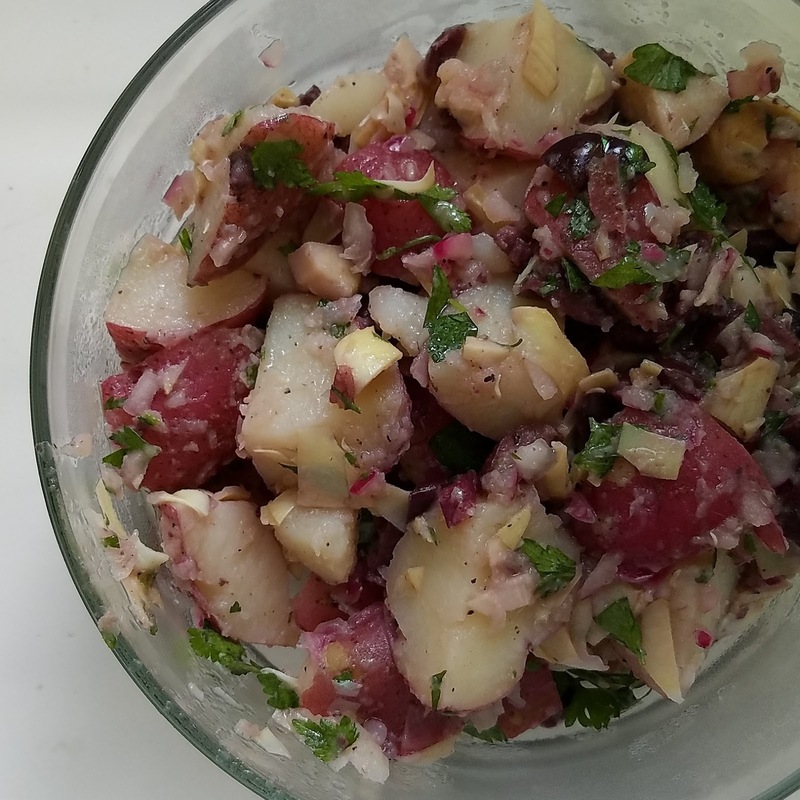 Add drained potatoes and season with salt, pepper,olive oil, and red wine vinegar to taste. This salad is delicious both at room temperature right after you make it, and chilled. Yum!